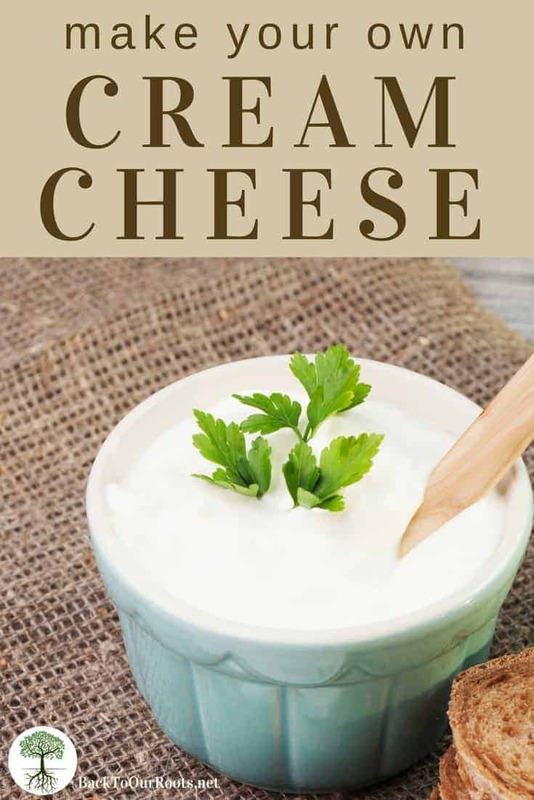 Cream cheese is another one of those dairy products that we use a lot of at my house. 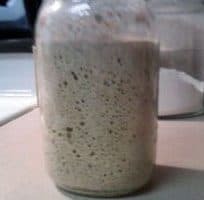 You can use it plain to spread on sourdough toast or English muffins. You can flavor it sweet or savory to spread on crackers. Or, you can use it for dips or frosting for things like my Pumpkin Poundcake or my Sourdough Cinnamon Rolls. Or even for pin wheel roll ups or cheesecakes. And especially for one of our favorite deserts, Cherry Cream Cheese Pie. 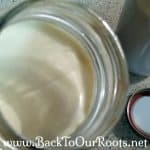 Homemade cream cheese from raw, grass-fed milk is nutrient dense, a good source of vitamins D and K2, calcium, and omega-3 fats. And it’s just down-right tasty! As an added bonus, it freezes well. What more could you ask for? OK, y’all, let’s step into the kitchen and make us some! 1 package of cream cheese starter culture (this is the one I use ) This starter culture has both the culture and the rennet in it. Put the milk and cream into the pot. Cover the pot and heat the milk to 86°. Sprinkle the cream cheese starter culture over the top and allow to rehydrate for a minute or so. Then stir the culture in well with an up and down motion to make sure it is disbursed through out. Don’t stir longer than 30 seconds. Cover the pot and let it sit in a warmish (70° – 75°) spot to culture for 12 to 18 hours. 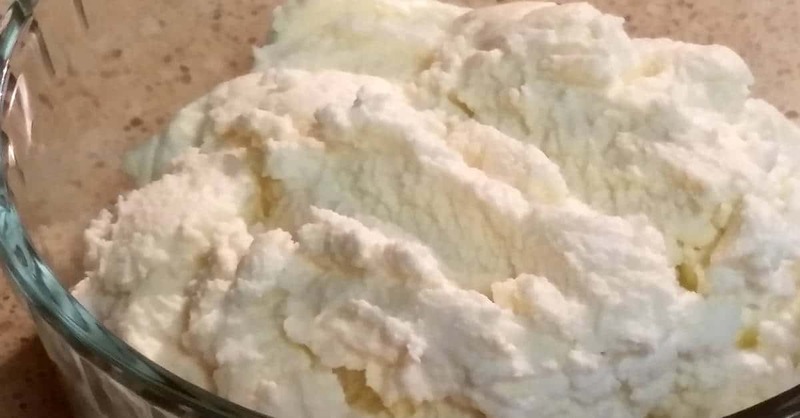 After the culturing time, the cheese should look like yogurt. Thick with some whey separating out. 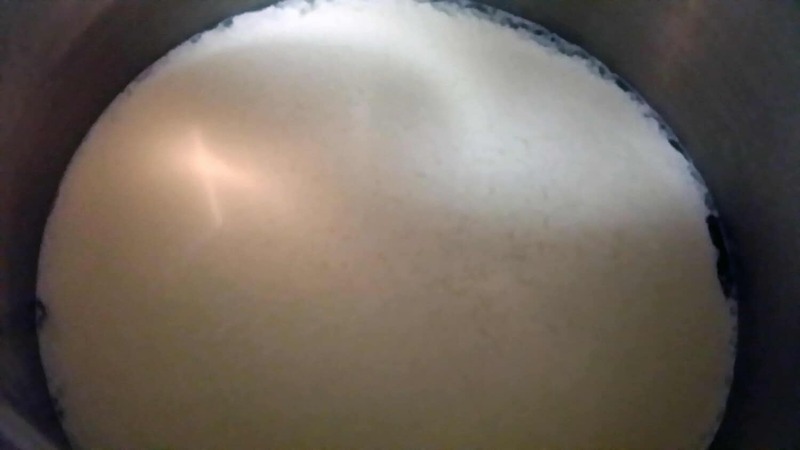 Whey is a mostly clear liquid that can be anywhere from a light yellow to a dark green. Now you need to put some butter muslin in a colander over a large bowl or over the sink. I usually double up my muslin. Don’t try to use what they sell as cheesecloth now a days. That won’t do the job because the holes are too big. Ladle or pour the cheese and whey into the butter muslin lined colander. 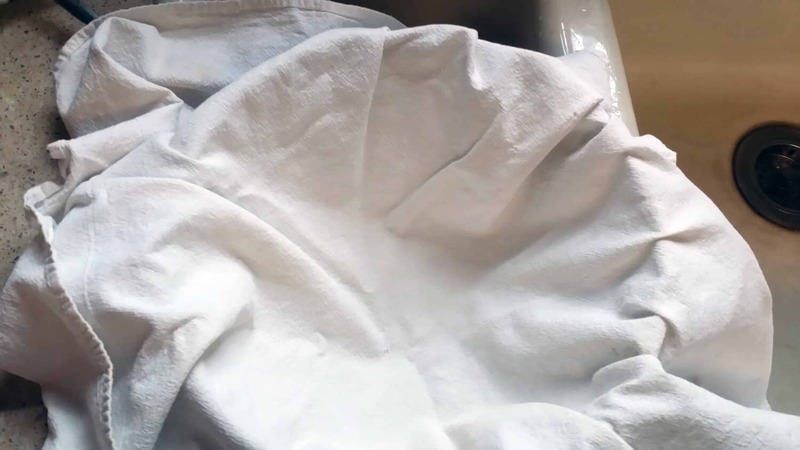 Pick up the corners of the muslin and carefully tie them in knots. 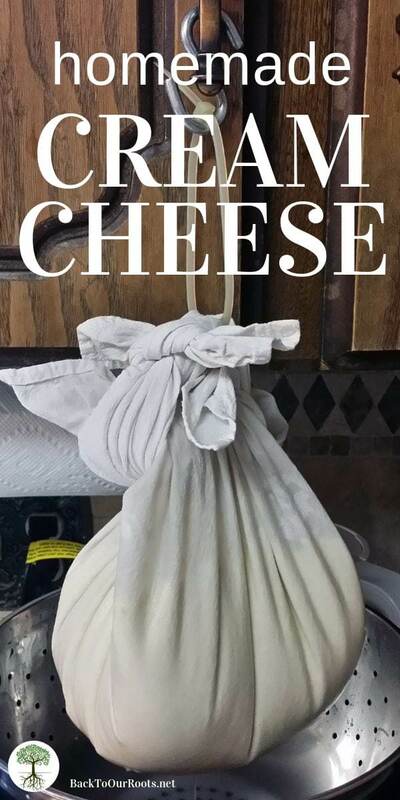 Now use the tied ends to hang the cheese so it can drain. Let the cream cheese drain for 6 to 9 hours. The longer it drains, the drier it gets. Once it’s to the consistency that you like in your cream cheese, put it into a bowl and add salt. 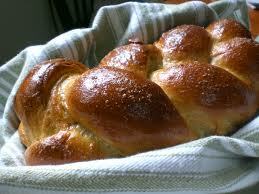 You can mix it in with a spoon or knead it in with your hands. It you are using fresh herbs like basil, mix them in now. I like to separate it into different bowls and flavor it in different ways. Store, covered, in the fridge for a week. I like to store mine in canning jars. I’m sure that takes you all by surprise…lol. I also freeze it in the canning jars. Just make sure you have about 2 inches of headspace so the jar doesn’t crack in the freezer. I like to mix some pureed fruit into it to spread on stuff. I also like to add minced roasted garlic and chives. It’s a pretty amazingly versatile cheese. What’s your favorite way to use cream cheese? Hi Lauren! 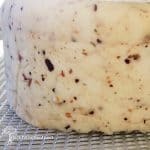 The information that I have found from my trusted cheese making sources tells me that mozzarella and ricotta work well with lactose free milk that has not been ultra pasteurized. Unfortunately, as far as I can tell, those are the only 2 that are recommended. 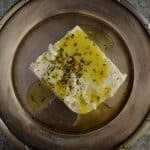 In this recipe, the cultures consume the lactose to provide the acidity needed for the curds to form, so I don’t think it would work. 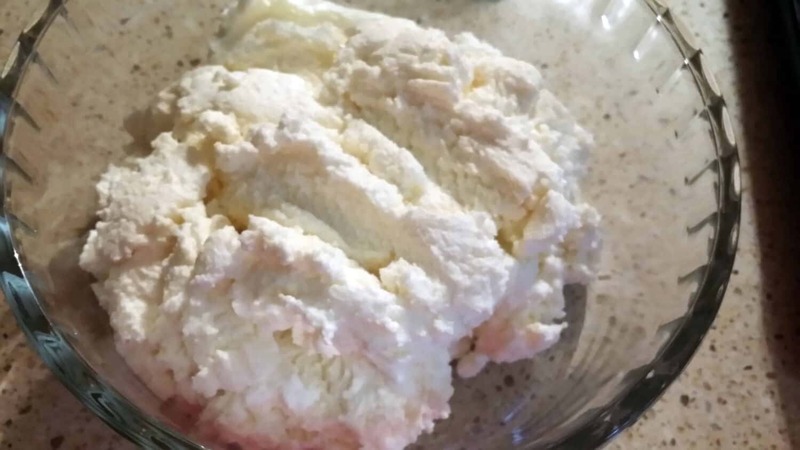 The good news is that ricotta and cream cheese are similar in texture so you could possibly use ricotta as a substitute for cream cheese in a recipe. 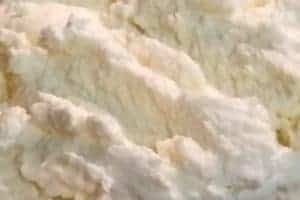 The New England Cheesemaking Supply site has a kit to make mozzarella and ricotta that they have gotten good results with using lactose free milk. 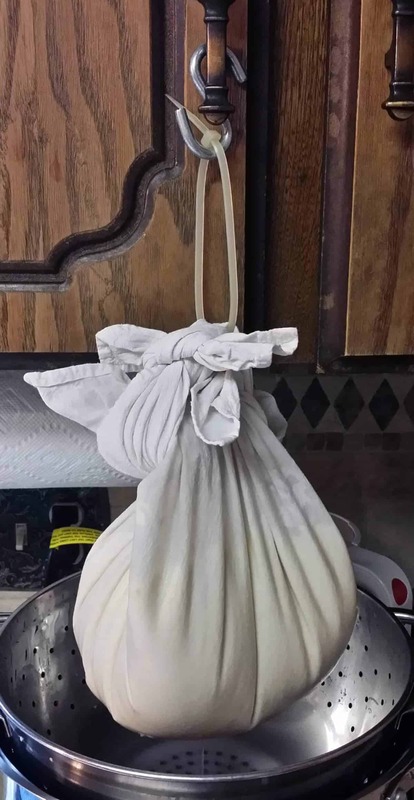 If you are interested you can follow this link https://www.cheesemaking.com/30-minute-mozzarella-ricotta-kit.html. I hope that helps! Hi Jude! 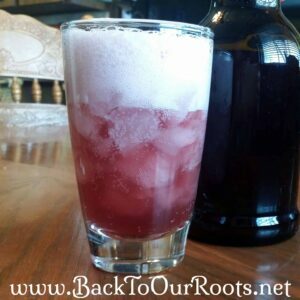 Whipping cream will work just fine in this recipe. Blessings! Hi Cery, how much cream cheese does this make? I can’t wait to make this!!!! Hi Joey! I’m glad it was helpful to you. Thanks for stopping by!